Quite an easy course, suitable for all handicap levels. This course is 40 years old. The overall design is perhaps a bit old-fashioned but still nice. There are good quality hole maps printed on white tiles on every tee box. The first 9 holes are a bit better than the second 9. Dog-legs are not difficult, gently sweeping left or right, with adverse camber on the fairways. The answer is always the same: if the dog-leg is left-to-right, the way to reach the green is by playing up the left half of the fairway; if the dog-leg is right-to-left, the way to reach the green is by playing up the right half of the fairway. The fairways are generously wide, and there is very little true rough. The greens for a course of this standard are very large and acceptable quality without severe slope. So: wide fairways + no severe rough + big greens = quite an easy course. The few bunkers are well-positioned and have good high quality sand. A few holes are moderately steep up or down, the rest of the course is quite flat. So a reasonable course to walk rather than take a buggy. The members are mostly British long-term resident on the Costa, but do not strike me as snooty. A genuinely friendly place. The clubhouse is quite old-fashioned in a nice way, the terrace is charming. One measure I use to determine how hard the staff are trying to please is how helpful they are if you arrive by yourself and ask to be joined up with a 2-ball or 3-ball. El Paraiso in my experience is good at this. Some golf clubs on the Costa are definitely not i.e. just apathetically offer you a tee-time by yourself even if, like me, you really dislike going round by yourself and specifically tell them that in advance. 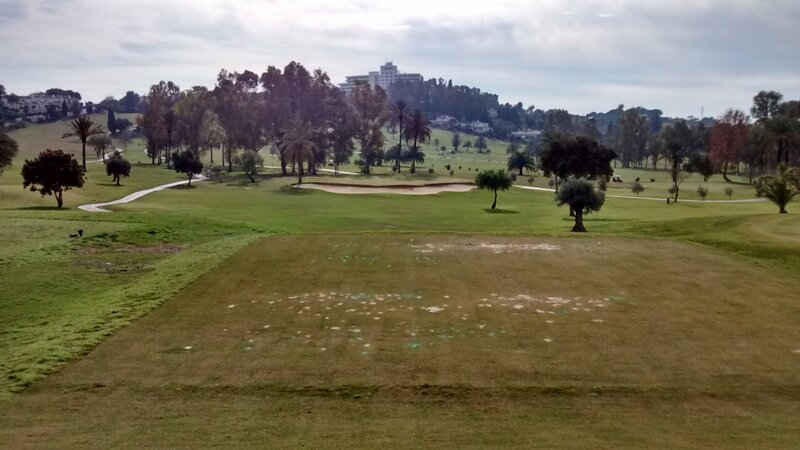 The location of this course in the Costa del Sol is not premier (the surrounding area is not up-market). But the surrounding properties are nice – old small Spanish-style villas and apartments constructed before everyone started putting up fairly boxy Eurostyle apartments during the great property boom/bust starting in the mid-1990s. 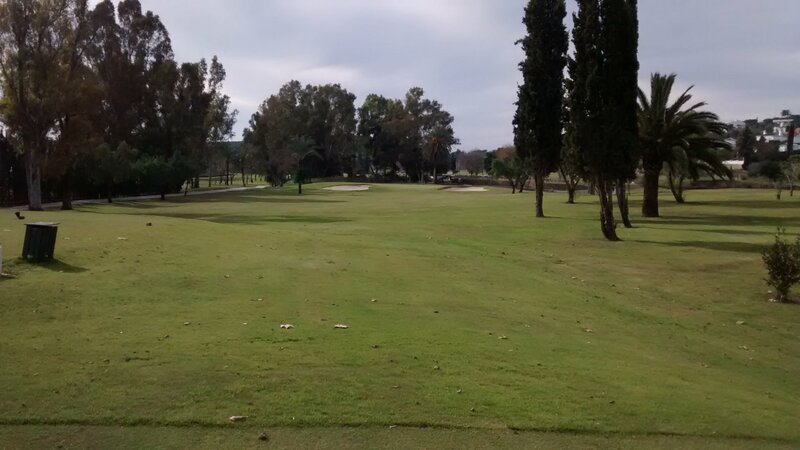 El Paraiso is not an expensive club to play one-off, and also has various levels of membership reasonably priced. I suspect the strong membership at this club wants golf at a good price. Fair enough, but the flip side is that there is not necessarily a lot of money to go into keeping up the course itself. Various factors may contribute to a slow round (fairly elderly membership, players walking the course, high-handicappers welcome..), but that is just the luck of the draw. 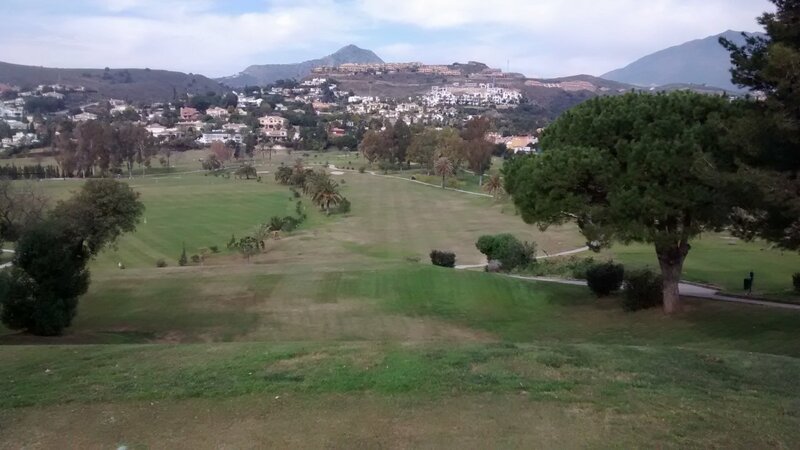 Low-handicap players might view this course as a bit dull – not the right combination of challenge/quality. But for me as a mid-handicap player, this course holds no terrors and I definitely expect to play to my handicap on it. Even better, I can expect on a good day to put together a run of 4 or 5 holes where I am scoring no worse than par. This is a busy course. That naturally is good news for the club. It means they get decent revenue for the price level they set. But the course does look a bit worn. The greens are quite scuffed. Some fairways have a wide variety of grasses and bald patches. Overall, I think this club needs to spend more money on maintenance of their golf course. I am not talking about major rework, just more small ongoing maintenance in lots of places on fairways and greens on the course. In summary, a perfectly acceptable course for the cost of the round. A place without pretensions that is relaxed to play and enjoy for what it is. Not a premium experience in any way, but then not everyone wants that all the time. Review last updated: May 2015. Number of times played: 10+. El Paraiso is the yellow dot. This shows the course is a bit longer than the average course on the Costa del Sol, but is marginally easier than most courses around that length. An 18-handicap player can expect to go around this course 20 over par.